In unison with their forthcoming e-commerce channel, Virgin Megastore wished to revive their loyalty experience, personalise the customer relationship and introduce their programme across other Middle Eastern markets. 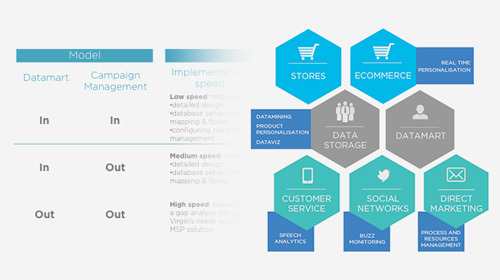 We guided the development of Virgin Megastore CRM strategy and searched for the appropriate marketing solution to personalise the customer relationship and drive engagement online and in store across MENA. Following the assessment of their current loyalty programme performance, we assisted the company in revising their loyalty strategy to increase adoption, usage and effectiveness. We then conducted an in-depth redesign of existing loyalty mechanics to reflect the new relational promise.